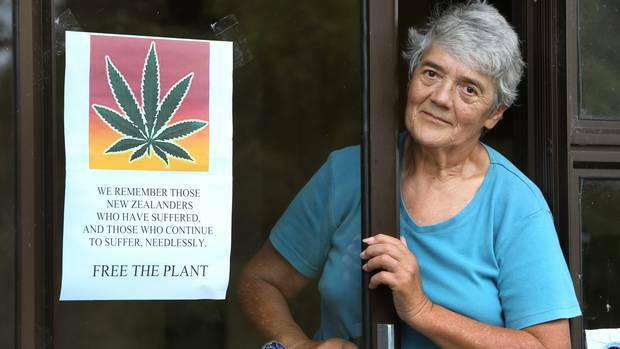 Otamatea Grey Power representative and medicinal cannabis law advocate Beverley Aldridge has welcomed a new poll showing the majority of people support her views. Aldridge was really pleased that so many people support her views on medicinal cannabis for pain relief. ”I’m really impressed with the results. It shows there are many more people who are prepared to look at all the evidence and do their own research before making their own minds up, rather than just listen to the prohibitionist propaganda,” she said. Aldridge said it was ironic that the US, which initiated the Western World’s cannabis, had now legalised or decriminalised the drug in many states. She said it was just a matter of time before cannabis use was allowed here, but in the meantime many peopled were living with pain that could be eased by the drug. ”At the moment their alternative is opiates and they are highly addictive and cause as many problems as they solve. There are over 200 diseases and ailments that will benefit from cannabis use and it’s cruel that people cannot access this plant that will help,” Aldridge said. Giles Newton-Howes: Is medicinal cannabis a wolf in sheep’s clothing?